Everyone will experience losses over the course of their life. People may lose loved ones, their sense of safety, their employment, a life role, or a physical ability among other things. Your mind and body often react to grief with high anxiety or feelings of sadness or anger, making it difficult to take care of yourself and plan for the future. Counseling can be a useful place to think about a loss, feel emotionally supported and help you work through the immediate, more overwhelming feelings of grief. How do I know if I struggling with grief? How can counseling help with my grief? The counseling room is a calm space to help you feel supported and do good thinking about how a loss has affected your life. 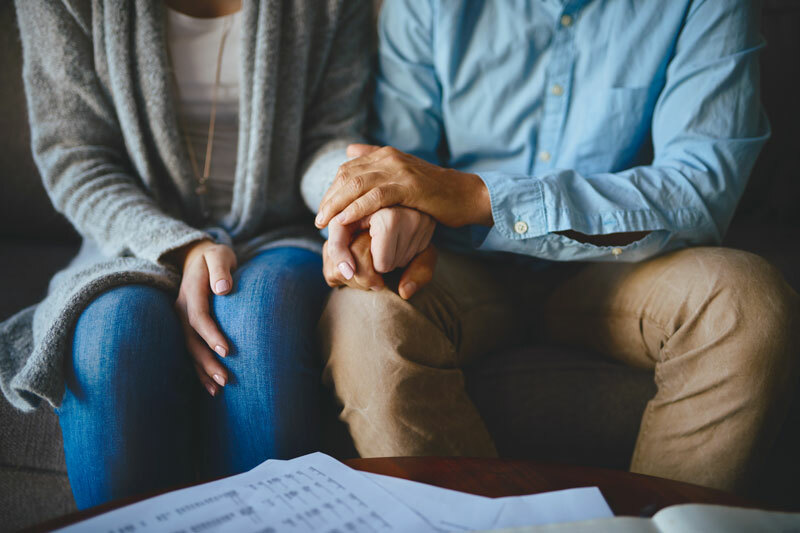 Anxiety may be high in a family or community after a loss, so counseling can be a special time where you can share your struggles and hopes without feeling you are burdening others. Our counselors can help you identify ways to cope with grief as well as potential barriers or challenges that can get in the way of healthy grieving. We can also help you think about how your life and various life roles may have shifted after a loss. If you need a place to heal and grieve, reach out to the Midwest Center for Hope and Healing today.